Adult Squash is very well supported at Crowborough Tennis and Squash Club in East Sussex. 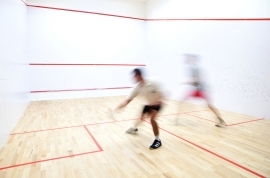 We are arguably one of the leading Squash Clubs in the Sussex area. A high standard of Squash is played at the club both competitively at inter club level and within our own Divisions and Club tournaments. Our Sussex 1st Team are currently Sussex Premier Division Champions. Whether you are new to Squash, a beginner, a little rusty or you play regularly at a competitive level, there is definitely something for you. We have over 30 players actively participating in our Singles divisions. We have a number of tournaments throughout the year, some competitive and some just for fun. 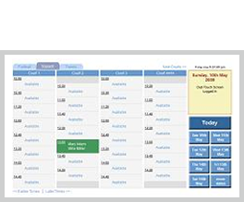 We have a number of Coaches offering everything from individual to group sessions. There is always someone wanting a game and a variety of standards on offer. Club Evening on a Friday from 630pm continues to be very popular. Members can meet up, mix in and play a quick game before switching around. After the Squash there are events at the club serving hot food and occasionally providing live music. We are always looking to improve upon our offering and your Squash committee are ever present to field your questions. If you are looking for someone to have a hit with then come and introduce yourself at Club Evening or you can always pop a note on the Squash noticeboard.